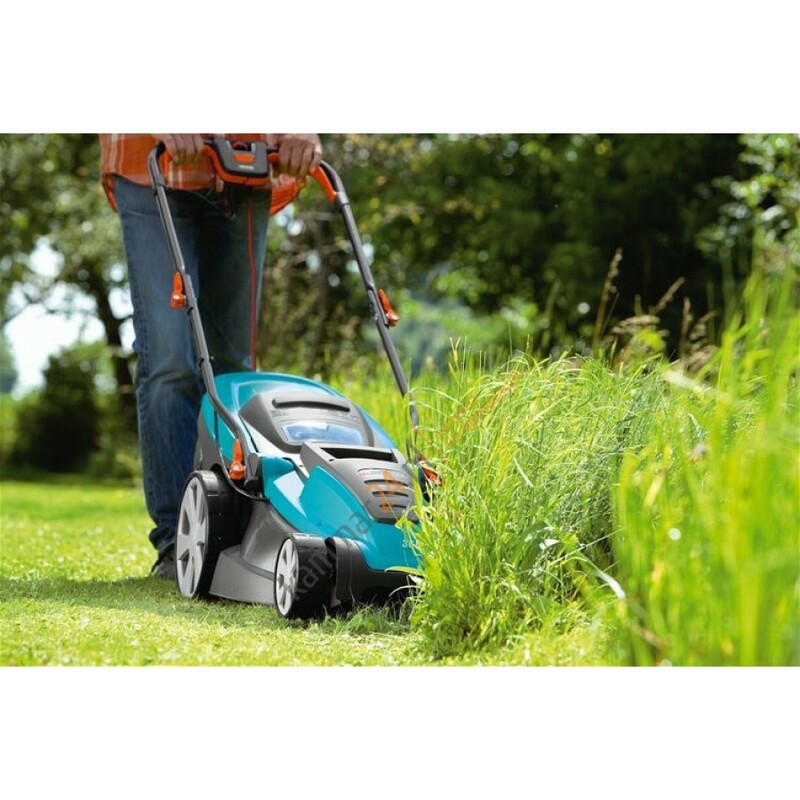 The Bosch ARM 37 electric lawnmower has a 1400w Powerdrive motor that enables it to tackle long grass with ease. With the innovative grass combs it can cut up to or over the edge of your lawn. 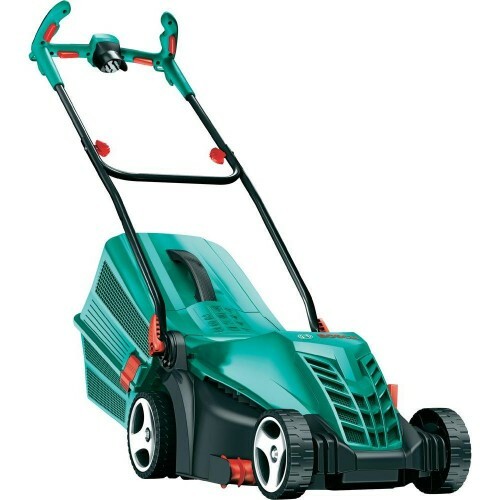 It has a full 37cm cutting width, a rear roller for stripes and a wide range of cutting heights from 20 to 70mm, making it ideal for small sized lawns of 150 sq.m. Height of cut adjustment A 3 step height of cut can be adjusted from 20mm to 70mm to suit different lawn conditions. Large grassbox With a 40litre grassbox, you won’t have to spend as much time emptying grass cuttings.